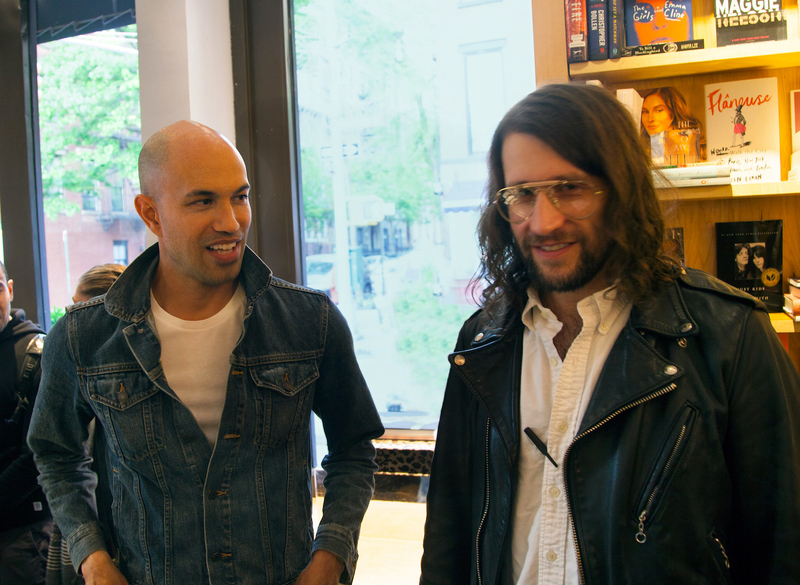 We catch up with the authors right before their book launch at Bookmarc. 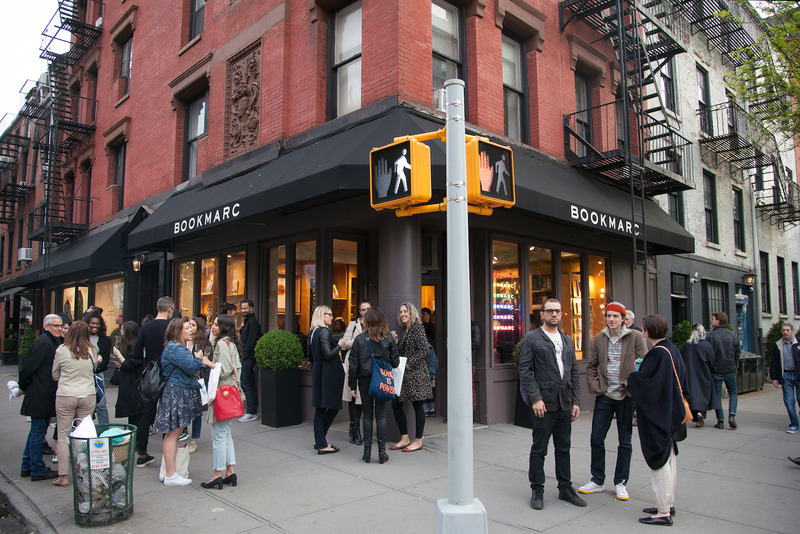 The final remaining Marc Jacobs outpost in the West Village is a bookstore, the cleverly named Bookmarc. Does this mean that in matters of Cool, the substance of the written word ultimately outweighs and outlasts the style of the fashionable garment? That’s doubtful. But it does raise some questions about Cool. 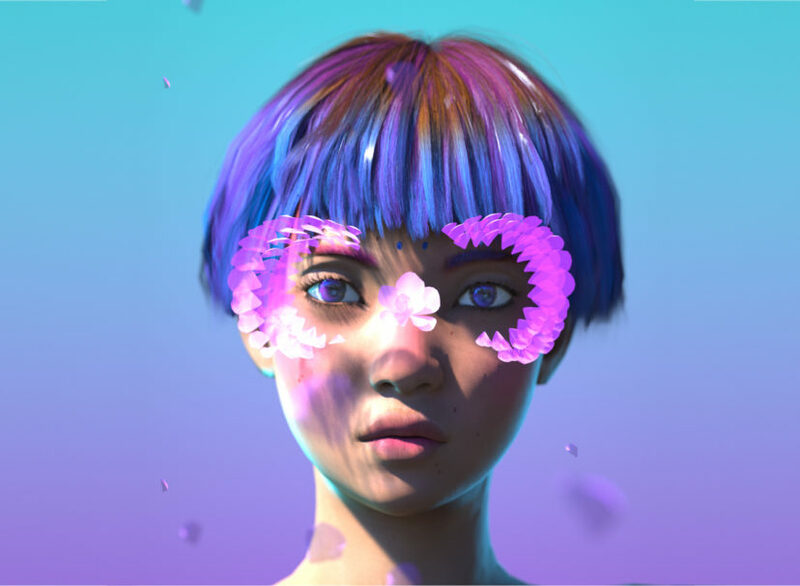 Like, is it possible separate style from substance when it comes to cool? Questions such as these abounded at Bookmarc when Greg Foley and Andrew Luecke held their book signing for their newly released Cool. 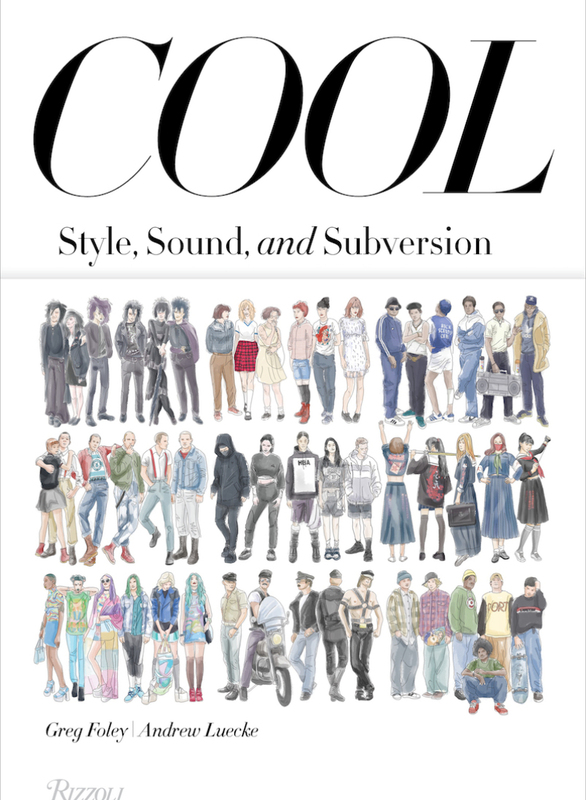 And while the book certainly sparked a wide-ranging discussion among the guests at the reception (many of whom were quite cool themselves), the specific aspect of Cool that the authors deal with is the question of subculture: where Cool and lifestyle fuse together. 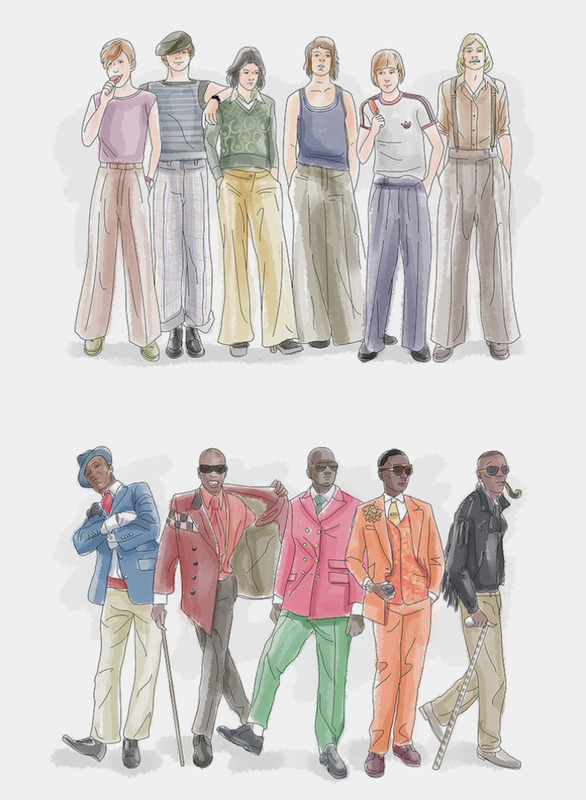 Subcultures are dissected going all the way back to the flappers through the text, playlists, and Foley’s lovely and perfectly detailed illustrations. Like any sentient person, we find the question of subcultures endlessly fascinating. I remember growing up around Sharp skinheads who were forever having to explain to people that they were not racists — that, in fact, they were the sub-sub-culture who were against the racists. I’d think to myself: If you’re so sick of this question, there’s always the option of hanging up your boots and not being a skin. But the fact that this wasn’t an option for them speaks to the power and importance of subculture. To find out what exactly this power and importance is, we had a talk with the experts. Greg: Well Andrew had never done a book before, and I challenged him. Andrew: We were both interested in subcultures and the idea of whether or not they still exist and whether or not they really are a thing you can define in groups. So, we basically set out to explore that. We had similar ideas. 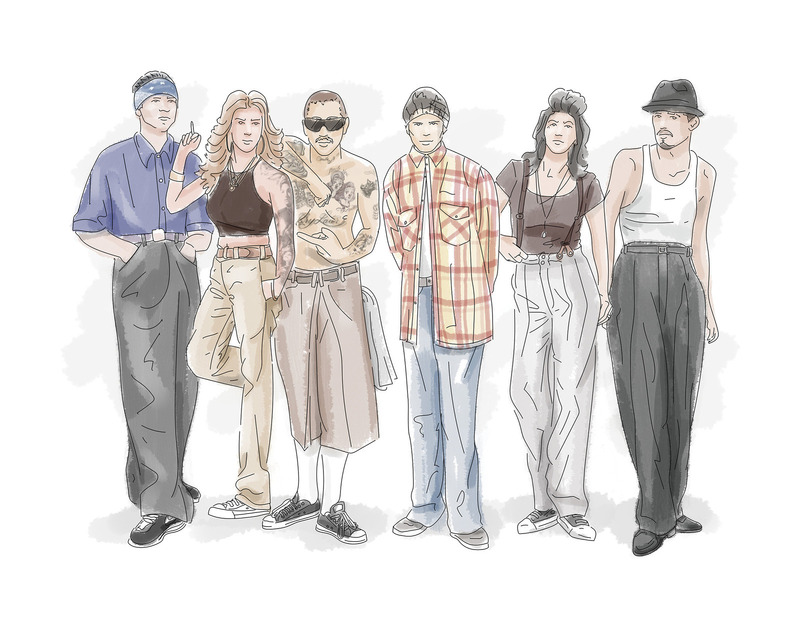 After doing the research for the book, why do you think these subcultures have come to be? Were there any crucial points that you noticed? Greg: The gateway is youth. 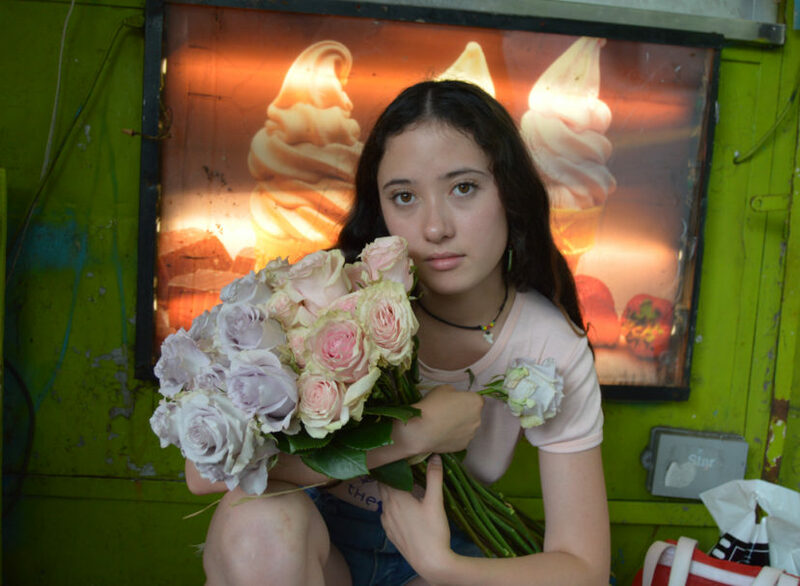 Youth always wants to define itself and stand apart and so we kind of determined we wanted to start in the 1920s, to try to give it a nice 100 year parameter. Andrew also identified the Roaring Twenties as one of first times that pop culture started caricaturing youth. Andrew: You also had the start of the record industry, the explosion of the radio and the beginning of pop music. Do you think youth and the music the youth identifies with is the commonality across the subcultures? Do you think that they all relate to each other in some way? Andrew: We actually have a foldout in the book with a timeline across the top that tracks all the subcultures. It shows their various inputs and outputs. You can look at it and see how greasers connect to Teddy Boys who connect to punks who are related to skinheads who came from mods. So it’s not just how the subcultures relate to each other in a linear way. They link to each other and back into each other in multiple ways. Do you have a favorite subculture? Greg: I love goth because it will never die. We think that it’s the embodiment of teen angst. 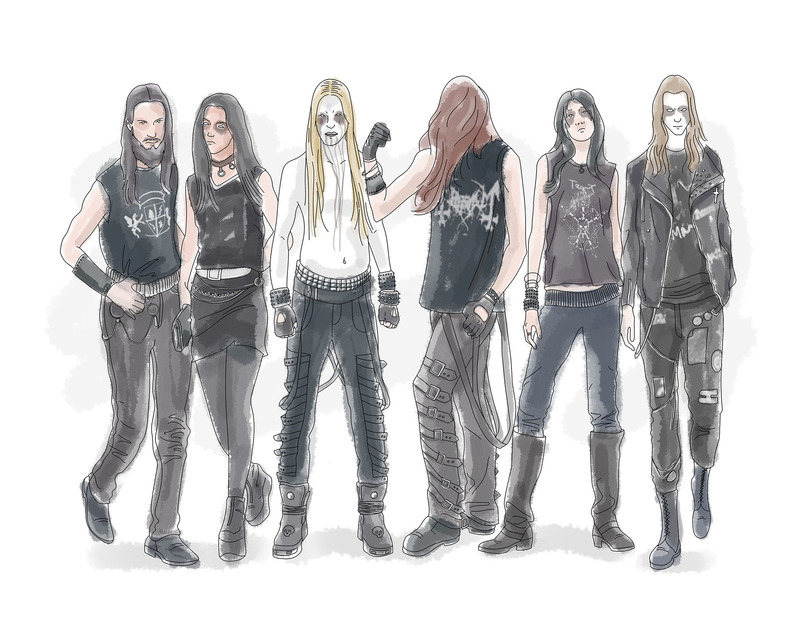 If you look at any of the other subcultures that infringe on that angst, goth came first. Pure angst. Andrew: I like mods and ’90s skaters for different reasons. Mods are so clean and timeless, but early ’90s skaters are so grungy, wearing huge, baggy jeans, in crazy colors like teal or mustard. There’s a nice dichotomy there. How long did it take to finish the book? Greg: A little over two years in the making. 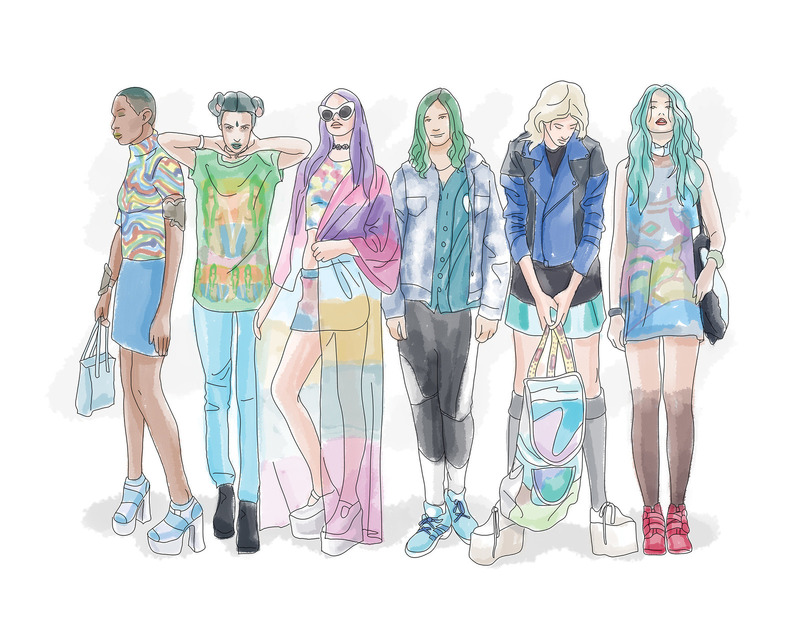 Do you think the capability to create new subcultures has diminished? Greg: We have a lot to fight for. I can’t wait to see an eco subculture. Andrew: Resistance is another theme throughout the entire book. I think now, with Trump, that resistance is more important than ever, so defiant style is more important than ever. Is the time to create new subculture faster or slower now? Andrew: Seems to be a bit slower now. Because of the internet, giving people information instantaneously freezes these subcultures in place. There are probably more rockabillies now than there ever have been. But they are less vital to popular culture. And I think because of that, it is harder for a unique subculture to develop on its own. Were you ever in a subculture? Greg: I was not. It was probably more like a few timid attempts at multiple different subcultures. Well, I guess the first was preppy. I was definitely preppy because my older sister made me be preppy. Andrew: I went through all of them. I was a breakdancer when I was five years old. I was preppy, I was punk. For me, it was breakdancing, preppy, skater, punk. Which are all things I’m invested in now. But when you’re younger, you feel like you have to choose sides. When you’re older, you can be all of that, but that intensity is what makes youth subcultures so vital.